We've always shared our kittens with friends and family's and we've recently decided to offer a limited number of our kittens to select approved homes. Call or email today to see what we have available or get on our waitlist for future litters. Go read more about us at www.HorseOfMyDreams.com We have over 88,000 Facebook Fans and you read our hundreds of testimonials. 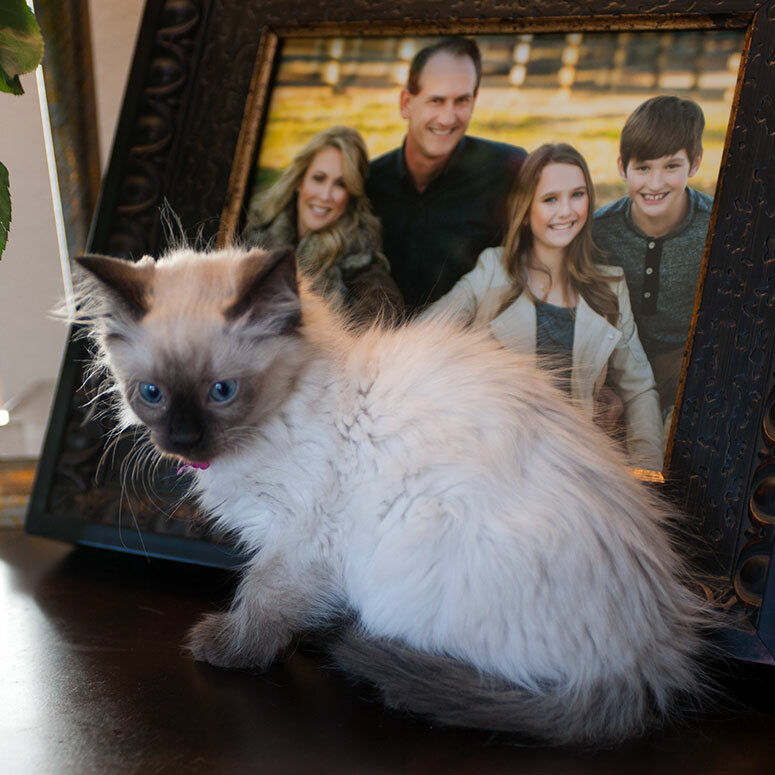 Dream Ragdolls was founded because we're a family that loves animals and our life literally revolves around them. Our cats are an important part of our daily life and we're dedicated to providing quality well rounded, healthy and adjusted kittens to our customers so everyone has the opportunity to share in the pure they bring to everyone whose lives they touch! Please call or email us for more information about our kittens.